Are you looking for a great homeschool history curriculum? What do you need to consider first? Do you need a Christian or secular program? This should be the first question you ask yourself when you are looking for a history curriculum. What time period will you be studying? Do you want to focus on Canadian or U.S. history? If you will be homeschooling indefinitely, you can determine what you would like to study and plan ahead, if you will be homeschooling for a short term, it would probably be best to stick to your country’s history first. What do you want in your history curriculum? A narrative story, maps, hands-on activities, supplementary books – these are some components that are great to have in order to study history. Particularly in the early elementary years, it’s great to have activities such as crafts, recipes, or lapbooks to bring history alive for your child. A timeline is a great way to help your child figure out how history fits together. Your child may learn about something in China and not realize that it going on at the same time as another even in the U.S. It helps children visual history and compartmentalize what they’ve learned. There are expensive timelines with pictures that you can purchase or you can make your own. It’s nice to have a blank one, so that your child can be the person to fill it in. If your curriculum is missing maps or activities, you can easily add in other resources but it may take more planning on your part. It is possible to study history with only one good book as your spine and then the library for all your other resources. We never buy readers, because my ds refuses to read chapter books twice. We use the library extensively, it can be done. – this is what we’re using now and I’ve used the whole series with my oldest. It includes a text and you can add in the activity guide for coloring pages, maps, literature suggestions and narration questions. There are also tests and audio cds available. – one book to encompass the history of man. I’ve read this with my oldest and he really enjoyed it. History Odyssey – this includes a reading list with mapping and activities suggestions to tie it all together so you don’t have to plan it out. History will bring a global perspective to your child and it doesn’t have to be boring at all. 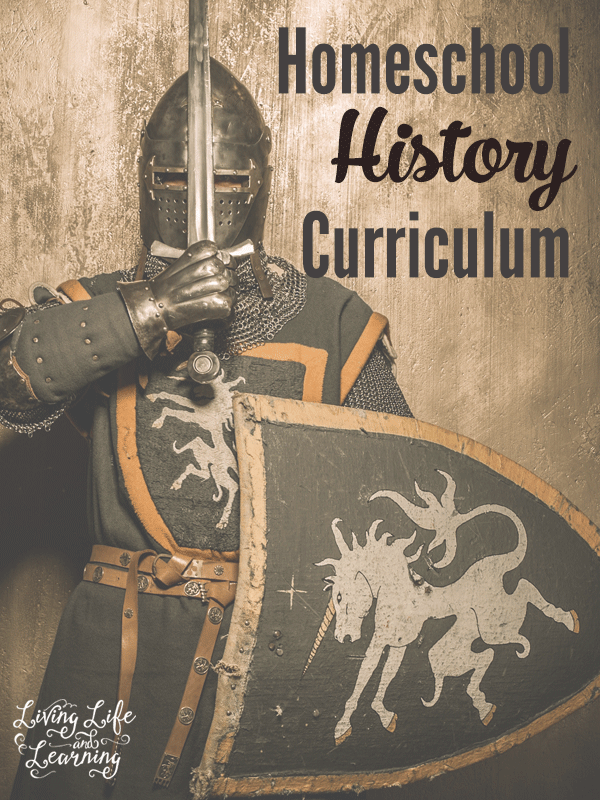 Make history come alive with your homeschool history curriculum by incorporating a timeline, crafts, recipes, and maps. Go ahead and read through the other posts in this Ultimate List of Homeschooling Questions.